After a few (far too many) weeks, we finally re-racked the Teaching Ale. It was fairly straightforward. 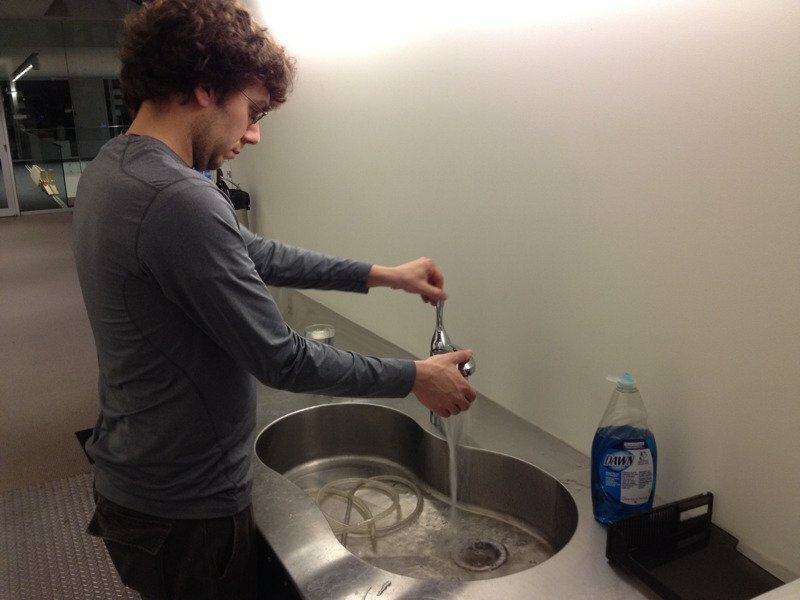 Just as before, we meticulously cleaned and sanitized everything that will touch the young beer. We cleaned the keg and a hose. 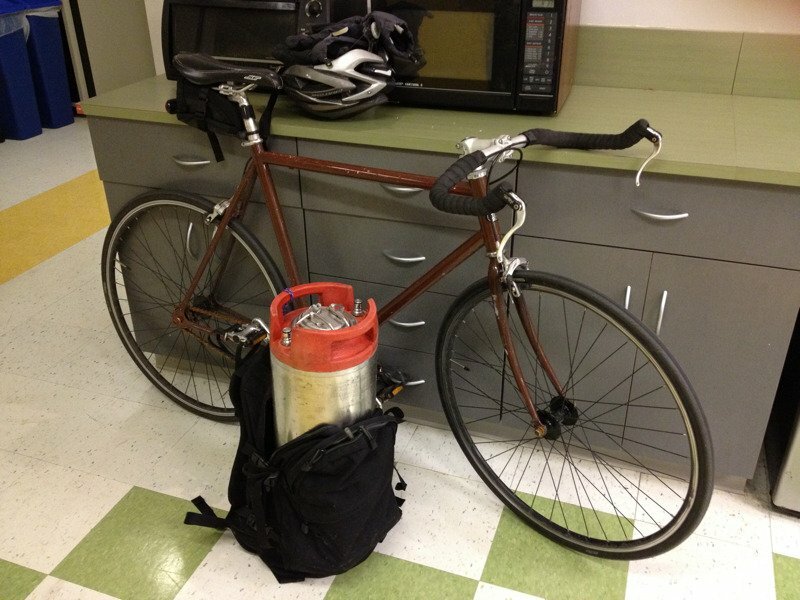 To siphon the beer, we first moved the carboy to a the counter and the keg to the floor. Next, we filled the hose full of water. Then, after placing a thumb over one end of the hose, the other is dipped into the carboy. 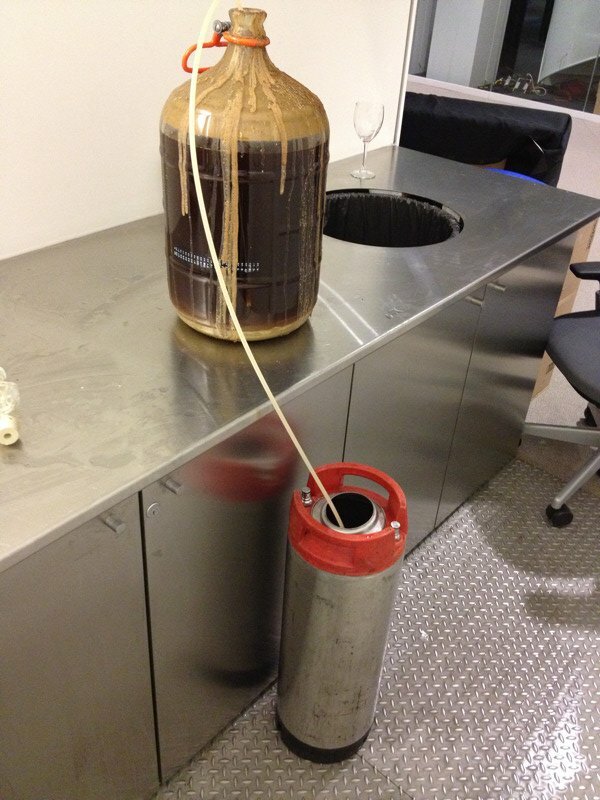 Finally, the other end of the hose is inserted into the keg. 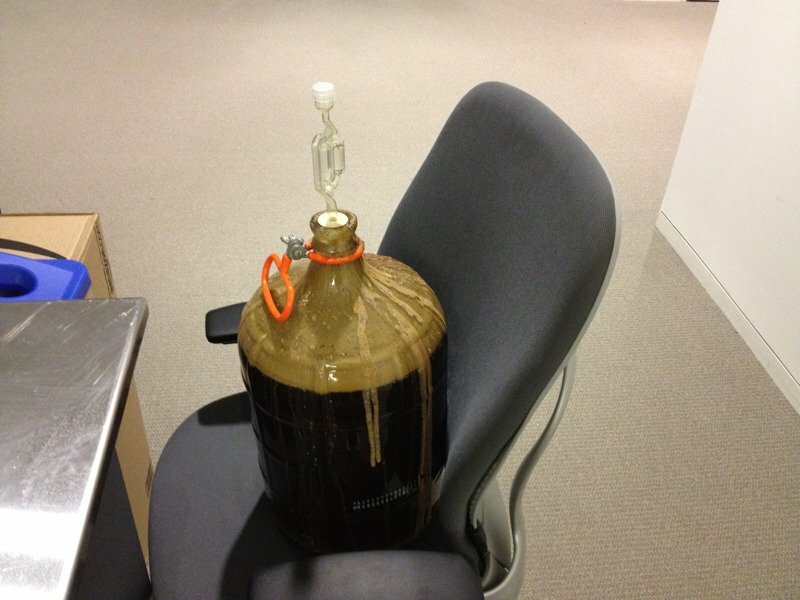 Gravity takes over and transfers the beer. While siphoning, it is important to keep the end of the hose just above the trub or sediment in the bottom of the carboy. Re-racking is important for clarity, siphoning the beer from the carboy to the keg, further refines the beer by omitting the sediment. We tried the, warm, young and flat beer. It wasn’t spectacular, but didn’t show any signs of spoilage or skunking. It’s always difficult to judge the final flavor of a beer before carbonation and refrigeration. The beer was fairly hoppy and malty. It was a little thin and didn’t really leave much in the mouth. This should smooth out over time.